Q: Can I search text in multiple documents on PDF Studio? 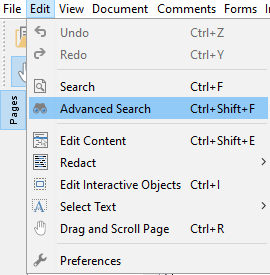 A: Starting in PDF Studio 12, you can search not only the currently opened document but also multiple documents at once. This tool allows you to see the results of the search in context with the text around the result to help locate the section of the document with the correct text. 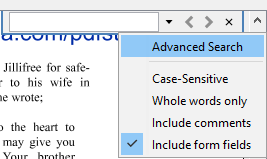 On Advance Search dialog, you can search text in the current document, all open documents, a directory as well as recent documents. – Input a Word or Phrase in the search box. – Click Search to start Searching.